The Capital Wine School is excited to bring the WSET Level II certification course to Unwined Alexandria! 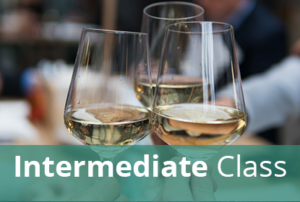 This 5-class course will be held at Unwined’s Belle View Blvd. location in Alexandria on the following dates: April 28, May 5, May 12, May 19, and May 26 with exam on June 2. Each class meets from 5:30pm until 8:30pm, and the exam also begins at 5:30pm. The course fee includes the 5 classes at Unwined; PDF copies of the class lectures; the WSET course book, study guide, and guide to the systematic approach to tasting wine; practice quizzes; 40 different wines; and the exam at Unwined.